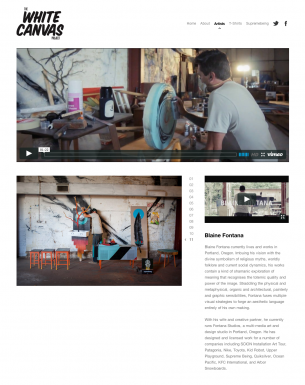 White Canvas Project – Profile of Blaine Fontana from Supremebeing Ltd on Vimeo. For those of you who were really curious about our trip to the UK, this Artist Spot Light video and web page share the detailed environment of the project. Please Click on the link below for other photos and information. Watch HD video on Vimeo here.